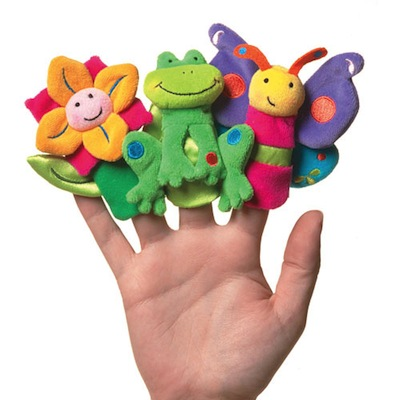 Get in touch with nature with these adorable finger puppets. Styles include butterfly, girl gardener, bee and flower in pot. Price is per puppet. Styles subject to availability.